The Mazda Miata has always had a classic, sporty design with its two-seat interior space and convertible top. However, driving with the top down introduces sun damage to the interior, such as fading and flaking, and getting in and out over time makes the seats look worn and dated. With a Mazda Miata seat kit from Auto Tops Direct, you can transform that old interior and update its appearance to mint condition. Most Mazda Miata seat slip covers look inexpensive and don't really add to the car's aesthetic or design. However, these Mazda Miata seat covers feature real vinyl upholstery and mimic the look of leather. In addition, they're not made as a secondary afterthought to interior customization; they are custom-tailored for 1990-1996 Miatas and act as a true replacement for OEM vinyl and cloth seats. Because these seat covers come in black and tan varieties, they complement the design scheme of specific Miata models. They have matching stitching and pleats for a tight, secure fit and come with both driver and passenger seat cushions and backrests. In fact, they also have perforated headrests, which provide a great listening experience if you have built-in speakers. These seat covers for Mazda Miatas come with a do-it-yourself guide and step-by-step instructions for easy installation. 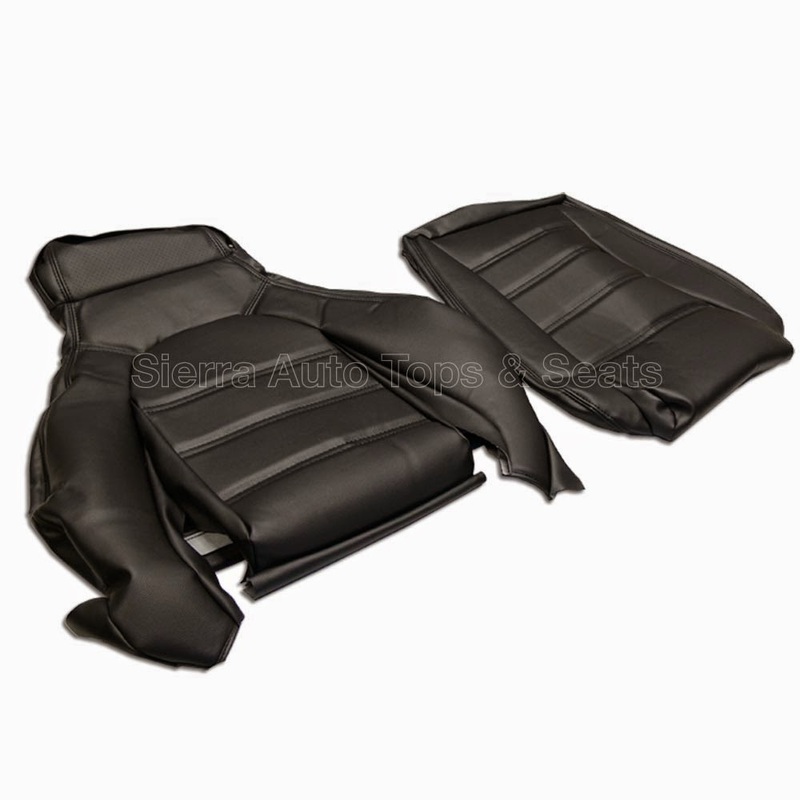 Because of the seat covers' vinyl material, they resist spills and stains and provide years of durable service. Before you consider the average pull-over seat cover for your Mazda Miata, take a look at this Mazda-specific seat cover kit today. It acts a real replacement for worn seats and upgrades your vehicle for nearly the same price. Convertibles are most often seen cruising around in the summer with the tops down, powered by happy drivers who are content to be out in the sun, enjoying their vehicles. However, if you want to keep your convertible in good condition year-round, you need to take special care to ensure that the top can stand up to all kinds of weather. Each of these materials has its own characteristics and is subject to damage from sunlight, heat, rain, dirt, grease and anything else the car might encounter when out on the road. The best way to protect your convertible top from potential damage is to establish a regular schedule of cleaning and conditioning. Your convertible top should be completely clean before you condition it. Your owner's manual may have suggestions for types of cleaners to use, but if not, look for a gentle cleaner specially formulated for the material that your top is made out of. Regular cleaning is an important part of maintaining your convertible and protecting it from all weather conditions. A convertible top that gets too dirty will likely grow mold or mildew and begin to deteriorate, especially in climates that are prone to warm, damp weather. If you're cleaning up an old or used car with a fabric top, you may need to vacuum the fabric to remove excess dirt before applying cleaner. Don't be afraid to clean the top more than once if necessary. Use a soft brush to remove excess dirt without causing damage. 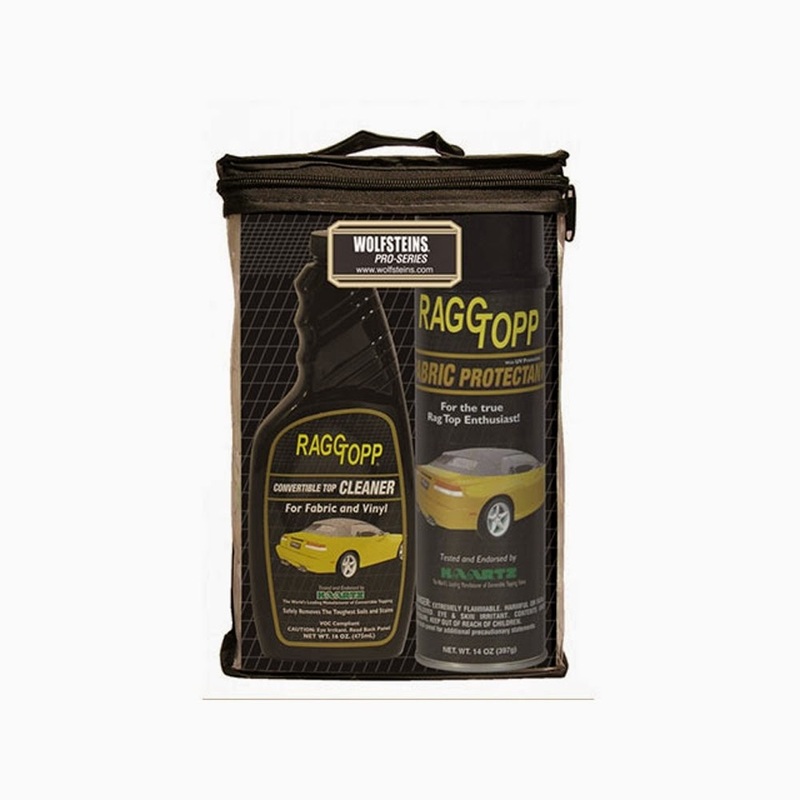 Once your convertible top is clean and completely dry, it's time to apply a conditioning product such as the protectants available from RaggTopp. Vinyl protectants are essential for keeping the material from fading or cracking. Exposure to extremes of weather, including the UV rays from direct sunlight, will cause damage over time. However, a good conditioning treatment restores and enhances the UV protection originally given to the top when the car was made. These protectants also keep the vinyl of the back window safe from elemental damage. Fabric protectants ensure that your fabric convertible top retains its ability to repel water. The chemicals applied during manufacturing lose effectiveness over time, so it's important to restore them with a conditioning product made specifically for fabric tops. Both types of protectant should also work to repel dirt, grease, grime and other environmental debris that can damage convertible tops. A regular cleaning and conditioning regimen will not only protect your convertible top from the elements but also help to preserve its appearance over time. Maintaining your car this way means you can drive it all year without worrying about weather damage. The better care you take of your convertible, the longer the top will last.